We've all made choices in our lives or been in situations that we've lamented over. In Bijou: A Cabaret of Secrets and Seduction, we are taken back to 1933, into Bar du Papillon where Bijou, shares her memories of secrets, sorrow and love through story-telling and song. Chrissie Shaw has selected a variety of songs and music authentic to the era and her voice perfectly encapsulates the emotions experienced with each song, from anger to sadness to joy. While I don't understand a word of French, when Shaw breaks into French vocals throughout the show, her body language, facial expressions and tone still allow the meaning behind the song to be conveyed. Accompanying Shaw on piano is the highly talented Alan Hicks, who plays - and sings - with aplomb and is very much at ease in his interactions with the audience. However, Bijou's recollections of important moments of her past that feature in her story-telling unfortunately failed to leave a similarly strong impression on me. I was often left unsure what the story was or unable to see how this fit into the bigger picture. I found it very difficult to find empathy for Bijou and the humour didn't always hit the right mark with the audience. While the direction by Susan Pilbeam is engaging and active, the constant walking and performing up and down the aisle in the space - which caused audience members in the front rows to constantly turn around - started to ware thin. Bijou's intention in thus interacting with the audience may have been to build a stronger relationship and affinity with us, but it came across as rehearsed rather than genuine. 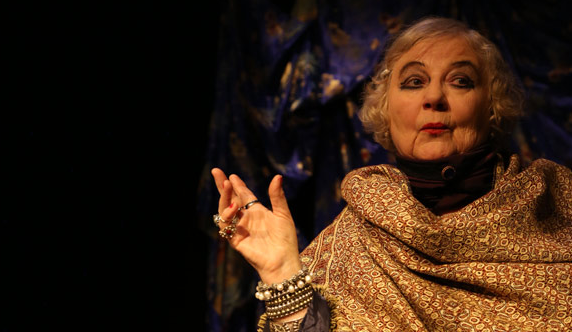 Sadly, my experience watching Bijou: A Cabaret of Secrets and Seduction left me feeling like no real secrets had been divulged and very much unseduced by the life of Bijou. While the songs and music and entertaining and enjoyable, the heart of the performance is yet to be found. *Original review appeared on Theatre Press on 26 November 2016.